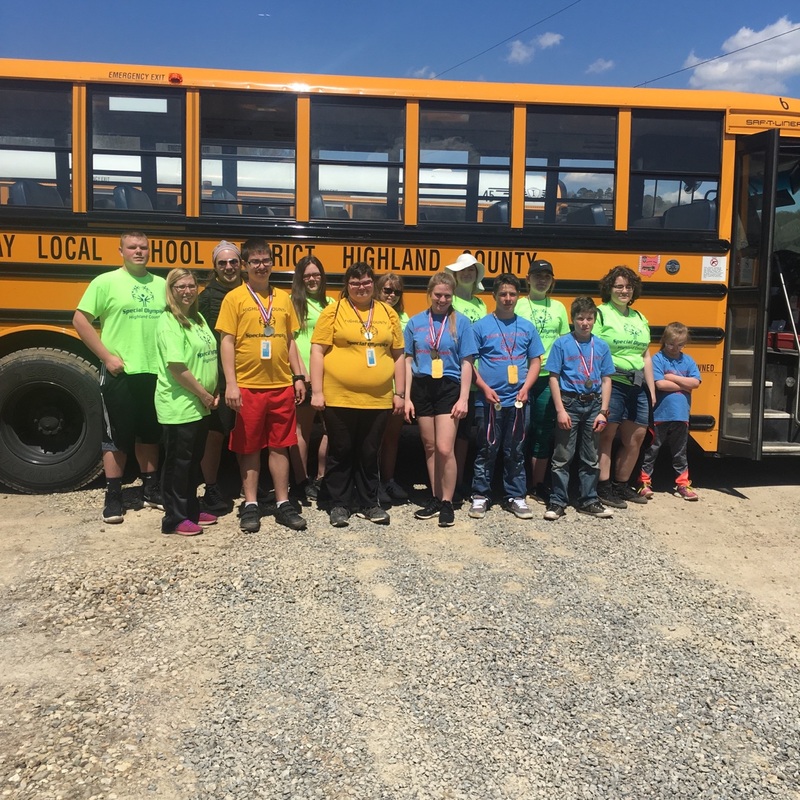 The Lynchburg-Clay Local School District Special Olympics Team will once again be headed to State competition in June at The Ohio State University with Highland County Special Olympics. Six athletes ages 8-18 competed at the Region Area 7 Spring Games on Friday, April 27 at the University of Rio Grande. All six athletes qualified to compete at the Ohio Special Olympics Summer Games. Pictured are the 2018 Lynchburg-Clay athletes and volunteers. Athletes include: J. Jones, L. Elliott, K. Brown, H. Wolf, J. Miller, R. Leininger.